To the right are our five new styles of pews! What do you think? The names may seem a little unusual but we are thankful for the opportunity to honor those that have come before us. Each pew is named after a hymn author that we chose because of the songs they wrote. We found these hymns in an old hymnal from the mid 1900s. It is such a privilege to give a small nod to the history and situations these pews have witnessed. What an honor it is to announce that Purely Elegant Wedding Statements is expanding into Charleston, South Carolina. We are now able to better serve the South because of having such beautiful inventory in such an amazing city. We have five new styles that we can't wait to share, as well as a new PEWS Partner that is the perfect guy for the job! Keep reading to learn more about him and each of our new styles! Peninsula Grill at Planter's Inn in downtown Charleston was the perfect setting for our soft opening luncheon. 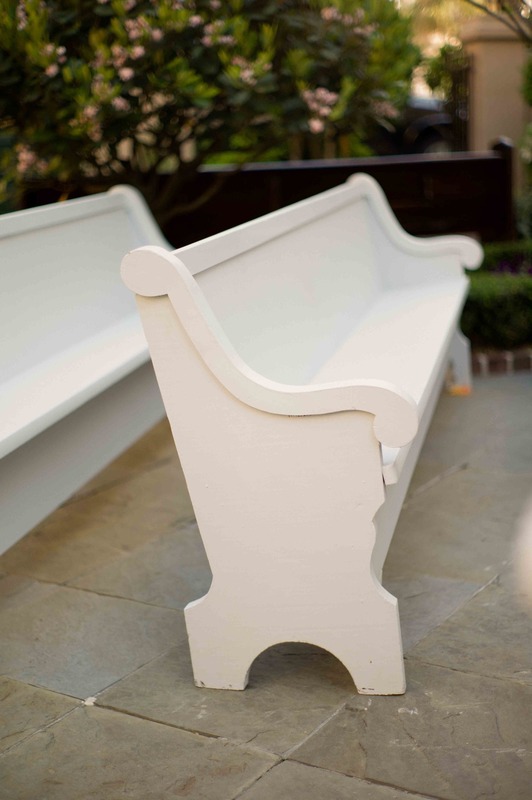 Our pews looked amazing in their historic courtyard and the food was beyond description! Andy Donnan Photography was on hand to capture the event. We are so thankful for his skill in taking quality, emotional photos. The lovely, fresh flower designs were done by Flower Shop at Mixon and we could not have been more thrilled with their quality and uniqueness! Our lovely paper was designed by Blue Glass Design! Please check out these vendors and all that they are doing for Charleston! Without Further ado, we are thrilled to introduce our new PEWS Partner: Ben Little. He is the perfect man for the job with his hard work ethic and resolute determination to serve brides and wedding vendors well. 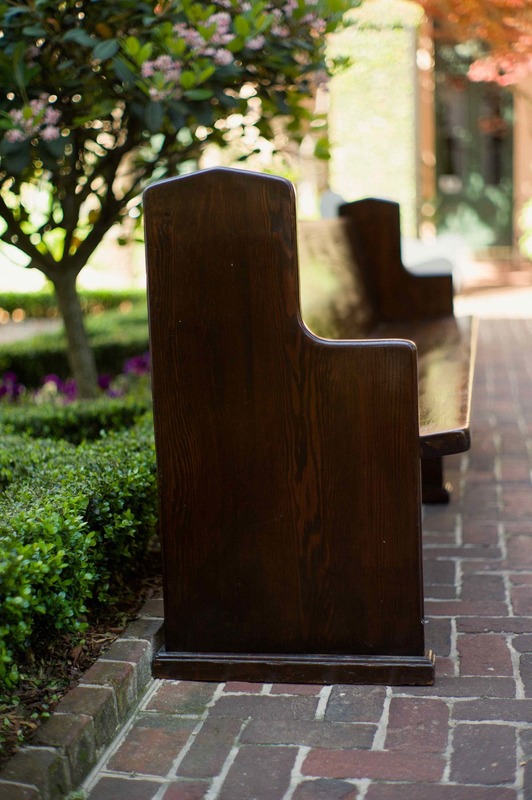 He is passionate about how our pews can transform a ceremony or reception and will be a great representative in Charleston. Read more about him on our About Page! Thanks for reading! We look forward to sharing more and more of our exciting PEWS happenings in Birmingham and in Charleston!